I never know what I'm going to find when I hit up a new post office. 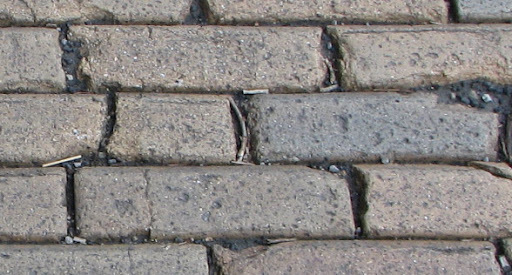 Some are generally predictable -- a certain class of architecture in an X-sized town, about Y miles away from the next facility, with Z clerks, and an AB class of postmarking device.. But sometimes you get an uncommon postmark, or you hear an interesting story, or just generally come across something you never expected to find. It's part of what makes this hobby so wonderful! Enter Merrittstown, Pennsylvania. It's one of a string of post offices toward the southwest corner of the state. It's late Saturday afternoon, so no one's open. I have the post office location programmed into my shiny new smartphone and head down Academy Road, but I wasn't expecting a place this blink-and-you-miss. I brake, pull up beside the office, and stop to watch a man cleaning the building. He was nearly finished hosing it down. Lee, this gentleman, is both owner of the building and husband of a former Merrittstown Postmaster, whose family had previously also been heads of the town's post office. We got to talking, and he told me all about the town, the surroundings, and some history. There's a bit more to the story than that. But here's the astounding thing: The post office has been in this building for more than 110 years. Lee's wife (the former Postmaster) came down the block and we got to talking a bit. Eventually she went inside and found something she thought I'd enjoy. 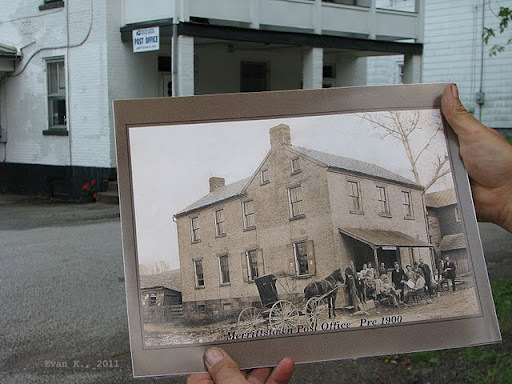 And indeed I did: a photo of the post office from the 1800s. I got a photo of that photo, in front of the post office. There have been some changes to the building, but you can see the resemblance. It was fantastic; I almost got goosebumps. It's moments like these that make this hobby wonderful. Its nice to see somebody taking the time to remember the "small things" like this. Im very familiar with the photos you have shown. 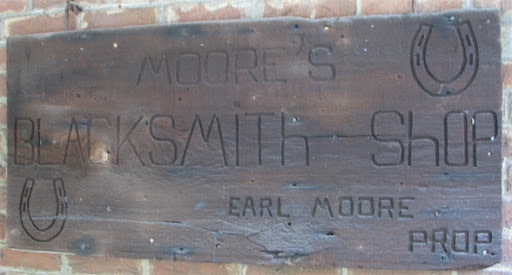 I know Lee the owner of the post office shown above, and my grandfather is the owner of "Moore's blacksmith shop". I grew up right next door to the blacksmith shop and still to this day love visting the history inside and also firing up the still functioning double bellow forges. If you want to see a truly unique post office you should have contacted my grandfather, Robert L. Moore. He is the owner of the original merrittstown "postoffice". Its actually just the desk used with the "post office mail boxes" inside of it. If I remember correctly it has about 30 "boxes" in it to house the towns peoples mail, truley a unique and priceless piece to us.